Read this book!! I wouldn't have read it if someone hadn't told me that, so now I'm telling you: read this book!! In all honesty, the blurb didn't appeal me, but then someone whose opinion I trust suggested I try it. The story grabbed me in the prologue and its hold only grew stronger. Even after I finished, that world kept sneaking back into my thoughts. Right from the start, I noted the writing: distinct, sharp, flavorful. The premise, in my own words, follows a war-torn country that cannot distribute weapons and resources because of what they call the fold, a large patch of pure darkness cutting across their land and filled with terrible, vicious monsters. However, that's not what's incredible about this story. That would be Alina, our protagonist. Her voice won me over almost immediately and I found her an utterly endearing and relatable twist on the somewhat cliché "teenager with unexpected magical potential that could save the world" concept. The story took full control of my emotions and pulled me high and low as I followed Alina's struggles. She's thrust suddenly into a world she doesn't understand and doesn't entirely trust and lives in fear that she can't live up to everyone's rather ridiculous expectations. She's surrounded by a varied and layered cast of characters and yet she's alone, since every character buzzes with conceivable betrayal. Her lifetime best friend Mal hasn't responded to her letters, which could mean he's in danger or he's a jerk who no longer wants anything to do with her. The Darkling, second in rank only to the king (and that order’s debatable), makes himself an enigma by saying very little, but still says and does just enough to leave Alina and the reader completely baffled about whether or not he's trustworthy. Even her teacher and her Grisha friends might see her as much as a magic vessel vital for their land's survival as an individual with her own wants and needs. There's only one flaw: the second book isn't out yet! Writing something this good and making readers wait for the rest might be a literary sin! By the end of this book, I loved it. However, it took me over a third of the book before it had my attention. I wouldn't be much of a reviewer if I didn't at least try finding words that explain this paradox. At first I couldn't pinpoint it, but then I had my "Ah ha!" moment. The lead of this story, Seraphina, is half-human, half-dragon. She takes after her dragon half in the sense that she doesn't feel much; dragons don’t experience emotions in the same manner as humans. This made me realize that while I don't need to love a character, or even like her, to invest in her story, I need to understand her, especially her emotions. A character who doesn't feel...well, then why should I care? In perhaps the first third, Seraphina felt more passive while the world and plot moves around her emotionless (or at least emotion-numbed) mind. Then everything shifts. Seraphina starts feeling. That's when I started investing. Of course, Seraphina’s earlier indifference only makes her unexpected vulnerability all the more pronounced. And I should mention that even before that point, she did make me laugh. I won't mention direct quotes, because I'm talking a sudden bark of laughter out loud and then some lingering giggling. I don't want to deprive someone else of the same initial reaction to a character who doesn't understand basic social conventions...especially tact. I almost labeled this seemingly unresponsive protagonist as a little boring before a handful of things that spill from her mouth made me frantically scrub that adjective out of my mental review. The ending implies this is the first in a series, although I can’t find any information about future books. It wraps up by nicely closing two main plot threads (by my count; I'm sure exactly how many "main plot threads" resolve depends on your interpretation). However, other major ones hang open, especially regarding a possible impending war. Certainly the perfect setup for another book! The end also packed in a few unexpected twists. Hartman paced everything well enough that, even though the hints were there, I didn't even sort of call these final surprises. Hartman has also released a short prequel to Seraphina, available on scribd. Short but sweet, as the saying goes. In this story we see how Seraphina earned her job as Princess Glisselda's music teacher. It's an amusing and entertaining peak at now familiar characters. I enjoyed more glimpses of Orma and his dragon-like, mathematics and logic over emotions and feelings mind. Although Princess Glisselda might have benefited the most from this story. We get a sense of her personality in SERAPHINA, but even this short story adds significant more depth to her character and endeared her to me. If there will be more in Seraphina's world, I hope Glisselda plays a big part, too. 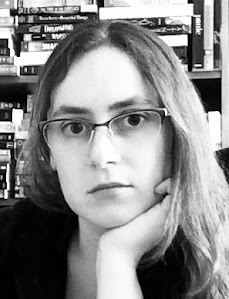 I'm a guest blogger for Random House's Random Acts of Reading blog. Click here to check out this month's guest post about the best ever teen books. Did you notice any others missing from NPR's list? For everyone who finished THE BLACK JEWELS trilogy with that bittersweet emotion the best writers evoke - wonderful story…but I wasn’t ready to leave - you don’t need to say goodbye to that world yet! This prequel can be read without reading the original trilogy, but why would you skip the original trilogy? It’s incredible! While I loved this prequel, I did catch a sniff of cheesiness on occasion that I never noticed with the trilogy. Acute readers will guess the secret behind the invisible ring upon its first mention or soon after, and it’s a bit of a groaner. However, Bishop still makes the emotions behind that twist so sharp that I’m willing to forgive a slight predictable and saccharine taste. I enjoyed the villain in THE INVISIBLE RING better than the original trilogy. Technically, Dorothea is still the villain, and one that does indeed make me shudder. However, she never reveals a single sliver of light. Vicious villains have their place in stories, but I’m always impressed by bad guys who might be good in their own tragic tale. We find that struggle in Lord Krelis. One can argue that he has a darker nature than our “good” characters, but poor fortune and cruel choices lured any sinister traits to the forefront of his personality. He had a sense of honor once, but when he saw what happens to men of honor in this harsh, twisted society, he decided honor no longer had a place in his life. Bishop possesses numerous strengths as a writer, including character development, but now I want to talk about pace. Her books always grip me tight from start to finish and she knows exactly how to build the tension towards a brilliant showdown. THE INVISIBLE RING is no exception. I was born in La Crosse, Wisconsin and grew up in Stillwater, Minnesota. Currently, I reside with my bellydancing librarian wife and toddler in Oak Park, Illinois - it's a suburb of Chicago mostly known for Frank Lloyd Wright and Ernest Hemingway. I've wanted to work with words and stories for almost as long as I can remember. Variously, a pulpish book about lawmen in the old west, the Folio edition of Tannahill's FOOD IN HISTORY, Margaret Thatcher's THE PATH TO POWER, the Ospery military guidebook on squad and platoon level tactics in WW2, and the 6th edition Warhammer 40k rulebook. These days I read more nonfiction than fiction. It used to be about 50/50 but now the ratio is more like 80/20. I wanted to tell stories similar to the ones I saw in movies or on TV. The first story I ever wrote as a tweenager was based on The Creature From the Black Lagoon. I think my mom has it in a drawer somewhere. I've always been the sort of temperament that likes to sit in a corner, alone, working on a project. When I write, I can create dialogue for a natty little drawing-room scene without dealing with actors or an epic battle without having to go through an armada of special effects and CGI people. So I guess you could say the craft suits my personality. I suppose least is the sense that every project I do is something of a failure, it never lives up to the expectations I had of it when I wrote the first few paragraphs. I write on a laptop. I like to be on my own, but enjoy a little bit of business humming in the background. I don't know if minor distractions keep me from distracting myself or what, but I do like to have a little noise and motion, even if it's just street sounds coming through an open window. I generally try to do an entire scene in one sitting (or a couple if one of the scenes is just a few paragraphs). While I think of a novel in beginning-middle-end terms, when it comes time to sew the thing together I work patch by patch, with each scene a different patch. If I can do two thousand words of new material, I'm satisfied that I've put in a good day's work. During down time I tend to think about the next couple of scenes. If I can get interested in some element of what I'm going to do during the next session, it makes getting that all-important first sentence down a lot easier. Playing with my kids, gaming, music, movies, cooking and food. I'd say "travel" but with small children in the family, long international flights are out for a while. The monthly mortgage statement. But seriously -- there's Visa as well. If you don't mind me saying so, that's a little like asking "Why Renoir?" I can give the literary criticism answer about starting with a blank slate, the reader's experience in exploring my world and all that, but the warp and woof of it is that if you want to write about dragons (or vampires), you're doing fantasy. Even if your dragons (or vampires) wear fedoras, pack .45s, have a broken water cooler and want to find out why the millionaire sugar cane tycoon's daughter disappeared, it's still fantasy. How was the AGE OF FIRE series born? When a mommy idea and a daddy idea love each other very much. . . I like animal adventure stories going back to, oh, CHARLOTTE’S WEB and THE HUNDRED AND ONE DALMATIONS I suppose. I wanted to do something with dragons, from their point of view. I became sick of seeing them as wish fulfillment vehicles playing second banana to their riders. I sat down and wrote to put dragons in a natural but fantasy-based word where a lot of their legendary behaviors, hoarding gold for instance, have a real world purpose (in my series it has to do with the health of their scales, heavy metals help them build strong scales just like adequate calcium helps your bones). Your dragons feel so vivid. Did you research animal behavior for this series? I started off with lizards, but they were a bit cold, so to speak. I ended up with large predatory birds, the raptors. For example, my dragon mating procedure is a romanticized version of eagle mating. I had no idea they did so much courting activity while airborne, locking talons and plunging toward earth. If they don't let go of each other so each can soar again, they crash and die. There's a lesson there, I think. The first sale is the hardest. I've found that you either have to love writing a great deal or need writing a great deal to make a career out of it. I'm a little of both. It's work, grinding work sometimes, but when you can touch a reader across time and space, well, the only word for it is magic. I'm dreadfully shy. I get compliments when speaking to groups. Very few believe that it half kills me just to step out in front of an audience and start speaking. My ideal audience size is probably the number you can get around a little corner pub table. But public speaking is part of the life, so I pull up the big boy socks and make the best of it.